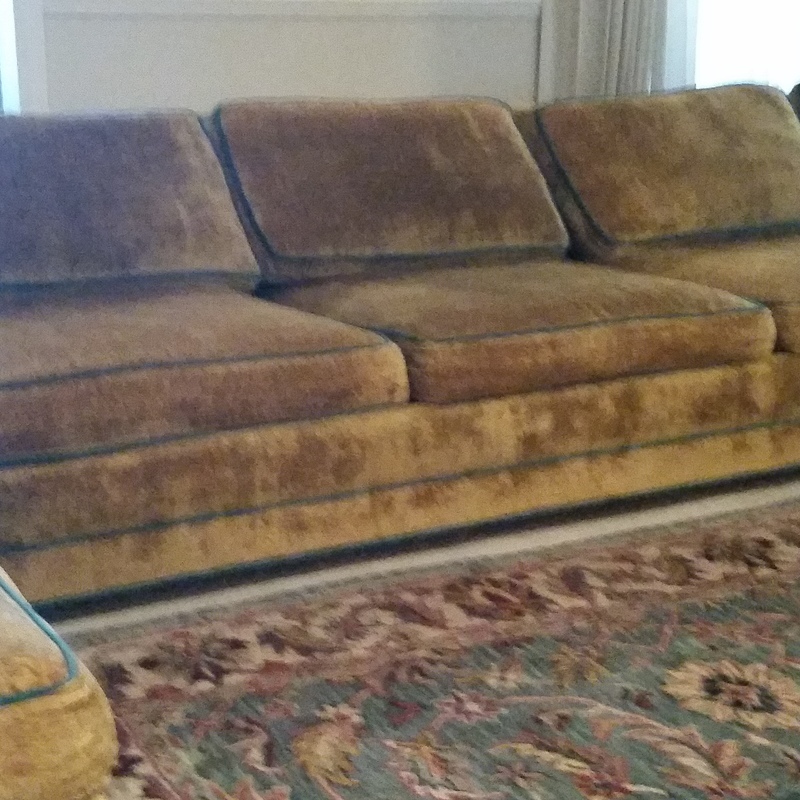 3 pc Modern Day Furniture sectional sofa group; gold velvet with aqua welting.The coushions were manufactured by Franks Coushions 107-14 Liberty Avenue...Brooklyn,N.Y.also known as Premium Pillow Company order number 5123-8BC SIT ARM.This information was on tags attached to the interior of the coushions.The coushions are filled with 80% goose feathers and20% down feathers. The arm section ie 23"high at the back 37" deep 104"long,the armless section 81" long and the lounge section is 67" in length. I'm not sure but think this could have been made for Century Furniture. Thank you for your request. The presented object is a sofa group possibly made in the last third of the 20th century. The measurements are: The arm section ie 23"high at the back 37" deep 104" long, the armless section 81" long and the lounge section is 67" in length. There is no makers label visible so we cant identify the producer. An estimation would be between 300 to 500 USD.